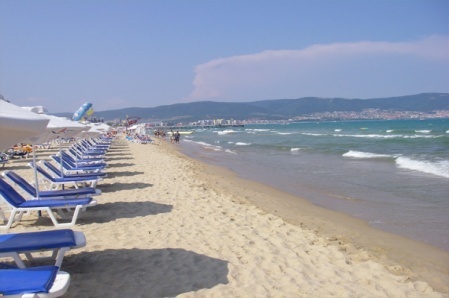 Bulgarian Holiday Summer Resorts have registered temperature records during the recent hot weather. Balkan Holidays clients have been enjoying Summer Holidays in Bulgarian Resorts with the Black Sea having a perfect temperature for swimming and enjoying other water based sports such as the PADI Diving Schools. Balkan Holidays clients can pre-book PADI courses before travelling, with courses ranging from beginners to advanced. Balkan Holidays clients have also been enjoying a range of boat cruises on the Black Sea, with the most popular being the Pirates Cruise which is a great day out for all the family. Of course the ideal way to cool of on Summer Holidays at present is to pay a visit to one of the Aquaparks, which can be pre-booked through your Balkan Holidays Representative in the holiday resorts. Away from the Bulgarian Summer Holidays Resorts, Sandanski, in the South Western Area of Bulgaria, on the road from Bansko, registered Monday a record temperature of 38.1 degrees Celsius, breaking the previous record for the same day – 37.3 – registered back in 2007. Svishtov on the Danube and Lovech in Northern Bulgaria, whuch is on the main road from Sofia to Varna also saw record temperatures – 36.2 degrees Celsius.